Typhoo tea is a leading producer of tea in the UK, exporting to countries globally. The company was acquired by Apeejay Surrendra Group of India. 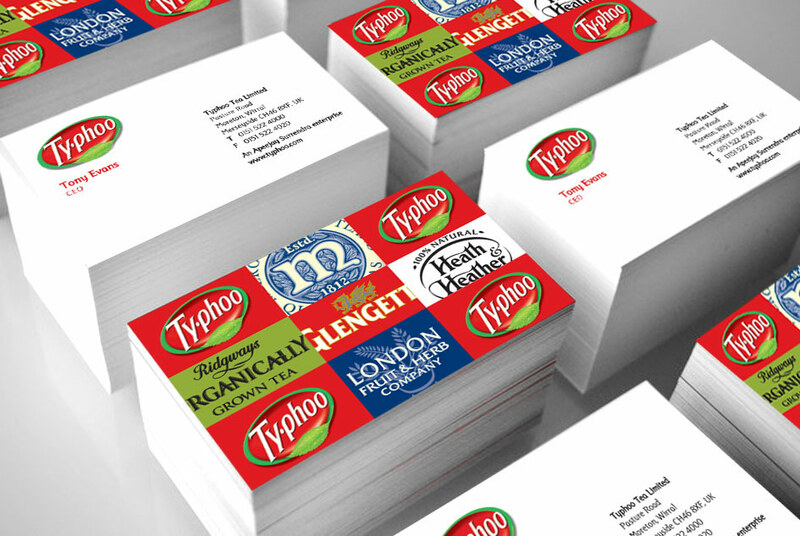 The brief was to re-design the stationery for Typhoo. The Typhoo universe includes several popular brands of tea. 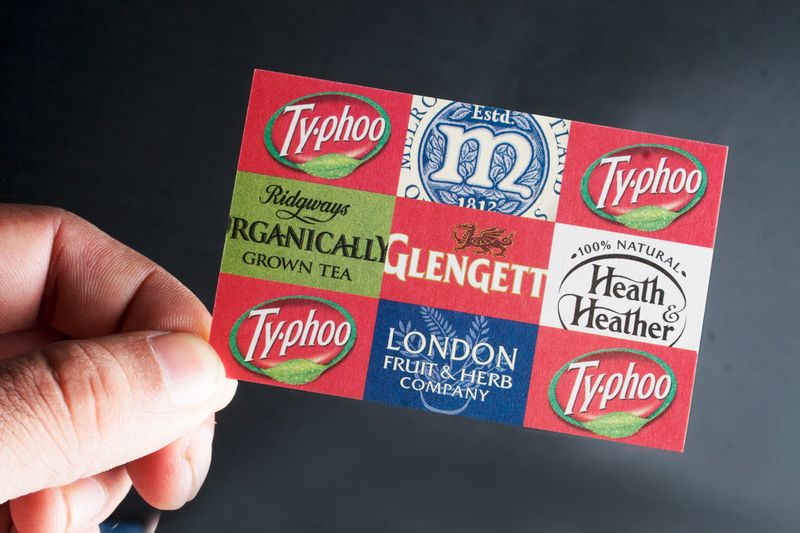 Each brand has its own equity, legacy and loyal consumers, but not everyone knew they were Typhoo brands. Hence a classic design strategy was adopted, where the brand logos were showcased on the back of Typhoos business card, thereby highlighting Typhoos ownership of the brands. Typhoo tea is a leading producer of tea in the UK, exporting to countries globally. The company was acquired by Apeejay Surrendra Group of India. 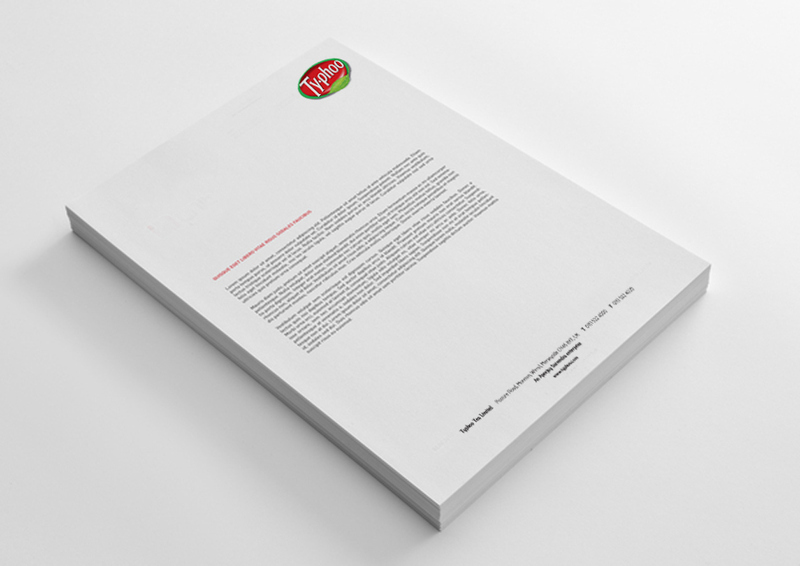 The brief was to re-design the stationery for Typhoo. The Typhoo universe includes several popular brands of tea. Each brand has its own equity, legacy and loyal consumers, but not everyone knew they were Typhoo brands. Hence a classic design strategy was adopted, where the brand logos were showcased on the back of Typhoos business card, thereby highlighting Typhoos ownership of the brands.